AJ shares his experience with BPD, anxiety, and depression along with his husband Cris. Together they discuss their relationship's special challenges, mental health issues, and there life as introverts. Episode 32 - You have BPD, Now What? AJ & Cris are joined by recently diagnosed Braelynn to talk about the process of coping with BPD as a new reality. A follow up on working with mental illness. AJ speaks about challenges of self-worth and self-harm and choosing to value your best self. When you go to work with anxiety and depression it can distract you from being a productive employee. We talked about our experience with this on the job and how it can make us a better worker. Episode 28 - BPD Relationship: Am I Worthy? What makes you worthy of your partner and does being with someone with BPD make a relationship the worst you've ever had? 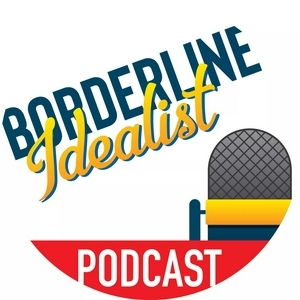 10,000 listeners have tuned in to Borderline Idealist! Episode 27: After The Show! What went on after ep. 27 ended? We discuss denial in mental health and how to bring up the topic to loved ones. AJ & Cris talk about unpacking in their new house and what they hope for in the future. Episode 25: After The Show! An after the show special of our conversation about mental hospitals. We join Carmella Young and share experiences from mental hospitals and wellness programs that help us deal with the stress of life when it seems like it's too much to handle alone. All about moving somewhere new as someone with BPD and having a super-neat husband. When dealing with depression and anxiety, medication is a possible tool on your journey to helping you cope. We talk about side effects and also the dangers of self-medication. Sometimes depression can be so severe it leaves you down and out. We explain what it feels like, steps you can take to feel better, and how family and friends can help. When you're out with others that don't know you have a condition or much about it, how can you let them know and keep your anxiety under control? How introverts spend their birthdays! Better Than Depression - Jan. 01 - Series Finale: Happy New Year! Movies are better than depression! Borderline Idealist - Episode 18 - HAPPY HOLIDAYS & HAPPY NEW YEAR & BPD! Zyrah from So Unbelievably Borderline joins us to chat about religion and mental illness, and her experience with borderline personality disorder and being Muslim. Cris and I talk about our Thanksgiving and how being an introvert can make it difficult but interesting. I get to go to the places I love with the person I love. Thanksgiving is time with the ones that love you. Friendships are better than depression. Better Than Depression - Nov. 20 - Nachos! Nachos, my comfort food that alleviates my depression. I'm a good friend and that's a reason to be happy and not be depressed. Loving my family and having them with me keeps my depression at bay. We discuss with Jamila about postpartum depression and what friends and family can do to support a mother going through this ordeal. Music is better than depression! My kitten Frida takes down my depression. Poetry is better than depression! Voting for elections and referendums as an introvert. Here is how we rock the vote! How do we get over procrastination and find the motivation to do the things we love? Kelly Vines tells her story about sexual assault and the aftermath which left her with post-traumatic stress disorder. Searching for validation from our parents can leave us wanting more but also teach us life lessons. We discuss being in a relationship with someone who has borderline personality disorder and the challenges that present themselves. Just when you think you know someone, you find out an introvert or extrovert is not what you thought. Our special guest is the beautiful extrovert, Carmella Young. What does it mean to be successful? Is it the things that you can see or how it makes you feel? My husband Cristhtian, an INFJ, joins me to talk about stigma and how we can all learn from each other about the struggles we face if we take the time to be open. What it's like to be friends with an INFP and someone with BPD, and why our emotions make us such good friends. 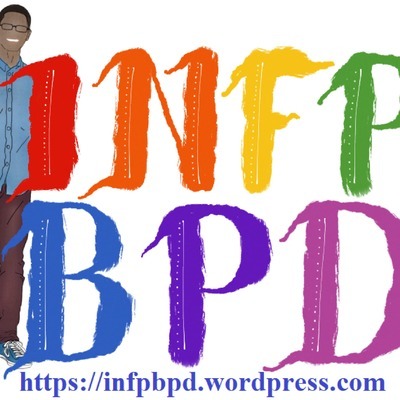 An introduction to INFP+BPD, explaining what the Meyer-Briggs personality type INFP means and what the mental disorder borderline personality disorder is. I also expalin what someone with these two characteristics can contribute to the world.